Cannabis and various products made on its basis are long-accepted means, able to protect people from a variety of diseases associated with seizures. Various forms of epileptic seizures can be treated with the help of oil of seeds of cannabis, or by smoking marijuana of special strains. There are thousands of stories of people who were suffering from terrible seizures and who had found salvation in such way. Cannabis and epilepsy appear in many of similar stories. Unfortunately, many of them are not known to general public. There are too many influential organizations producing drugs with enormous annual financial turnover. Coming out of a low-cost drug, with no side effects that have adverse affect to the health, that can overcome many diseases may lead to a complete "revamping" of the market and to the multi-billion dollar losses of the owners of pharmacological business. For this reason, the cases of healing using cannabis are carefully hushed up. Meanwhile, one of the most profitable means against this anti-discussed problem is cannabis and epilepsy, which is cropped for many times is a negative verification of use of the plant. To avoid allegations, I will give an example of a miraculous cure, which is almost unknown to people who are not interested in marijuana. This strain is called "Charlotte's Web" in honor of the little girl who suffered a rare form of epilepsy, i.e. Draveta syndrome, and cannabis helped her to get well after such a terrible disease. Just for you to imagine how terrible the disease is, I will tell you that in the worst of times the child had about three hundred attacks a year. "Happiness" is to be born with this syndrome falls to about one person per 30 thousand. Charlotte's first seizure occurred when she was three months old. About four years have passed before the treatment by cannabis. And epilepsy has completely exhausted unfortunate little child; doctors have advised her to get plunged to the pharmacological coma, only for the sake of at least some rest of the body that was exhausted beyond its age. Then the girl's father found some information on the positive results of treatment of various forms of epilepsy, and cannabis was at one of first places in the ratio of "price / quality" in comparison with the products of pharmacology. In America of that time medical marijuana was legalized only in Colorado (and now, 22 states have legalized its medical use, two states legalized it as a recreational drug, and other two dozens have decriminalized it, overboard were only the most hard-nosed conservatives), so the family has moved to the "Pioneer state." Owners of a large enterprise producing medical cannabis in the state were impressed by the story of Charlotte, and decided to cultivate the perfect strain to fight the disease. After several attempts, there was cultivated the "Sharlotte's Web" strain, and its oil is still the best drug for Draveta syndrome treatment. Already after the first application seizures have stopped for a week. And now the frequency is almost 2-3 cases per month, and the power of seizures has significantly decreased. There is no opinion! Almost nobody has ever heard anything of Charlotte and dozens of other cases of successful use of medical cannabis. Once again cannabis and epilepsy entered in war, and the first "fighter" has won the struggle. 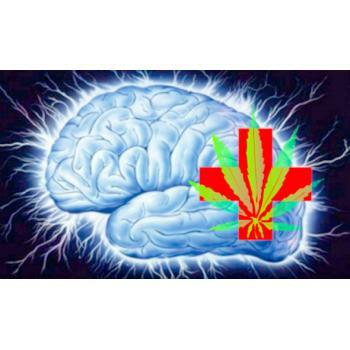 By the way, nowadays, there are about fifty people who suffer but discover healing effects of medical cannabis and pull through epileptic seizures using selection achievements of those times. The strain is still working. And now ask any friend, who knows nothing about cannabis whether he had heard anything about those magical cases of healing? If only you could how much I doubt. That's why I think that if it concerns treatment with cannabis, epilepsy and oncology, and dozens of other fields of application will be ignored as long as it is not profitable for owners of pharmaceutical industry.